On Wednesday 22nd of January, year 6 went on a brilliant trip to Sheffield to see Macbeth live, they saw it at the Sheffield theatre . They had a great time. They learnt a lot from the performance and understood the story line better. It was very entertaining, it was funny and lots of powerful singing. Mr Hill has entered the school into the “Let’s Grow to Chelsea” competition, it is being run by Morrisons and the Sun Newspaper. We have made it into the last 100 and are hoping to get into the final 30. We will be sent a “Let’s Grow to Chelsea” growing crate, seeds, compost and a camera, with the aim of planting the seeds and producing a ‘photo diary’ of their progress. If we make it into the final 30, we will go to the Chelsea Flower Show and hopefully win! This week Mr Hill has chosen 24 children out of upper school and 24 children out of lower school to be part of a project. 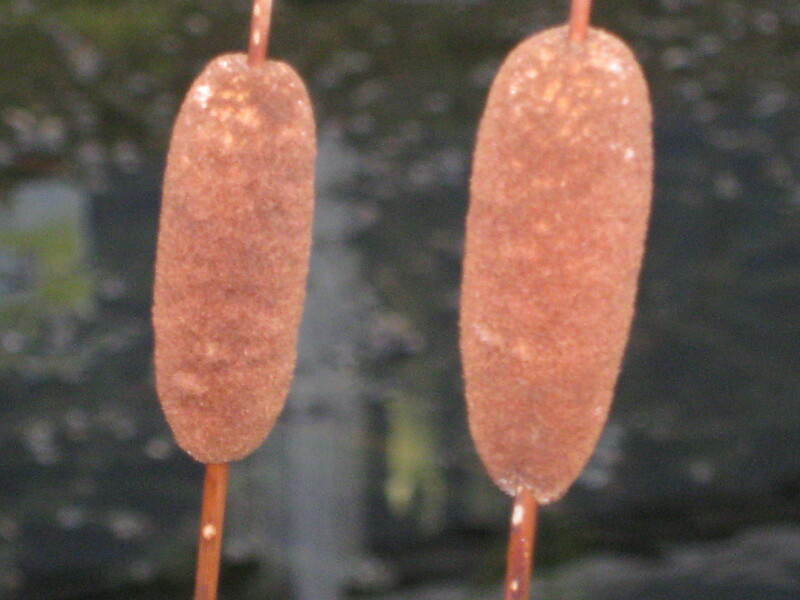 It is about taking pictures of interesting artistic things and developing camera skills. The pictures will become an A-Z book of Oakwood Junior School. The children have discussed the art of good photography and are focussing on being selective, being bold and keeping it simple. Take a look at the achievements page on the school website to see more of the photos. 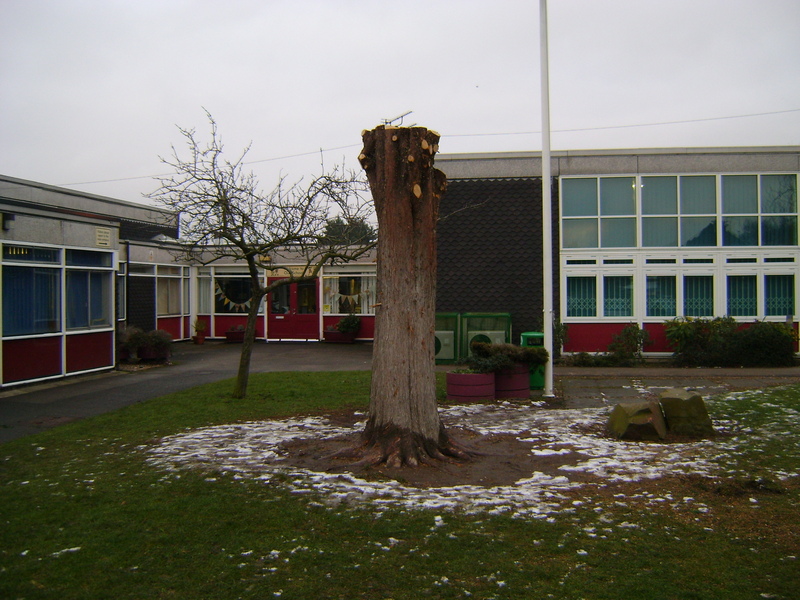 You may have noticed that the giant conifer tree at the front of the school has had a bit of a ‘haircut’! We now have a tree sculptor from Wirksworth coming to visit us to turn the remaining trunk into a work of art.if you want to see samples of his work take a look at Tree Art, his web site and be ready to be amazed. Watch this space for updates!!!! Yesterday it snowed! At lunch time we were allowed outside for 10 mins per class. 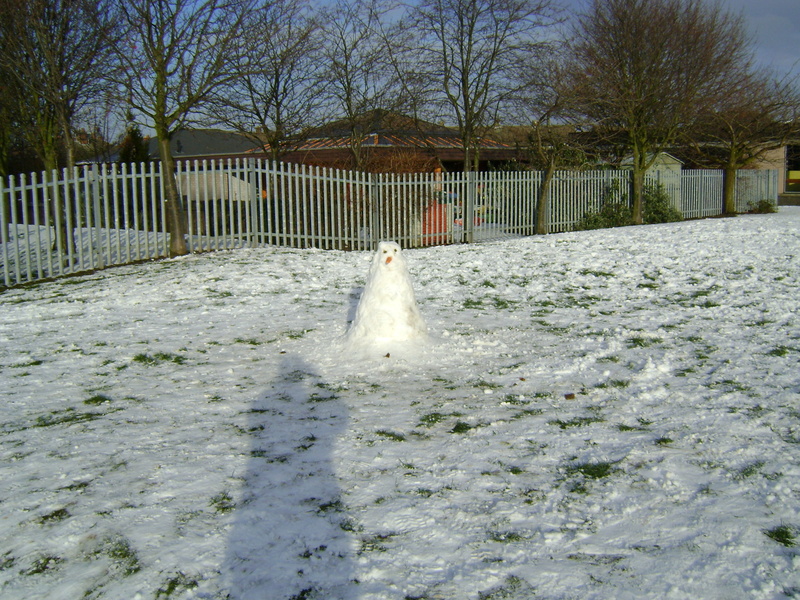 It was great fun as some people built a snow man, which looked more like a penguin (some people said), and others were making snow angels. Hopefully we’ll have more snow so we can built more snow ‘penguins’!